To TLE readers, the Shangri La brand needs no introduction, this Asian luxury powerhouse started off in Singapore and is renowned worldwide for setting new standards in luxury travel and accommodation. 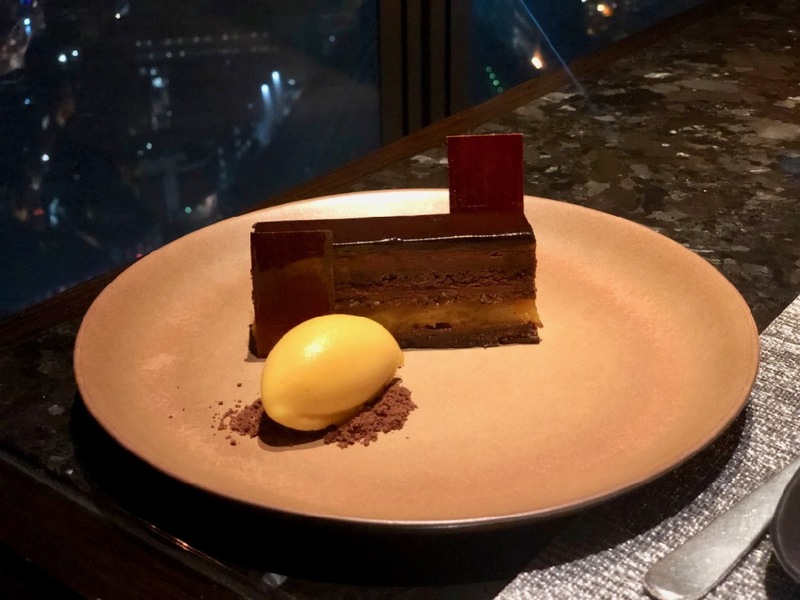 Shangri La at the Shard is the brand’s UK outpost and on our last trip to London we were kindly invited to try out their signature restaurant TĪNG at the Shangri La at the Shard. 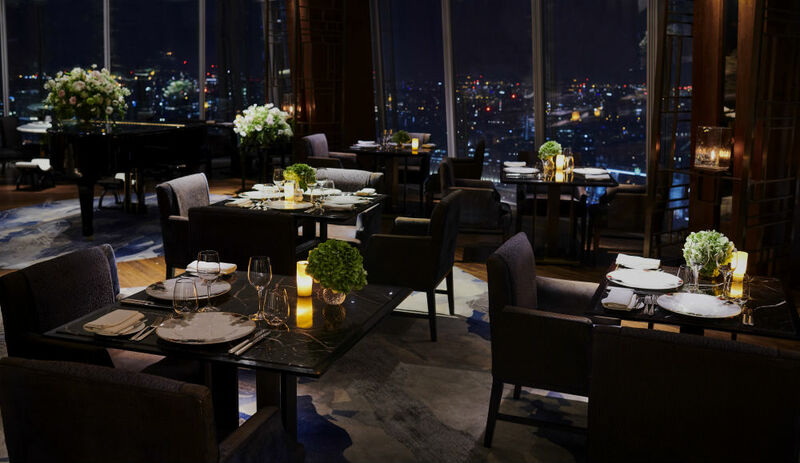 Read on to find out what dining in the clouds in the capital is like. 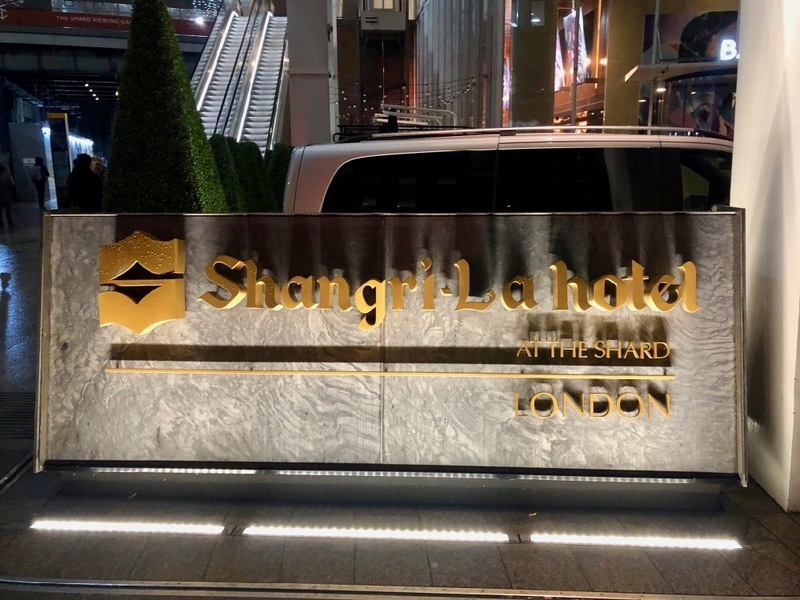 The Shangri La At The Shard opened back in 2014 and was London’s first elevated luxury hotel, occupying levels 34 – 52 of the iconic Renzo Piano designed building named The Shard, located at Tower Bridge. 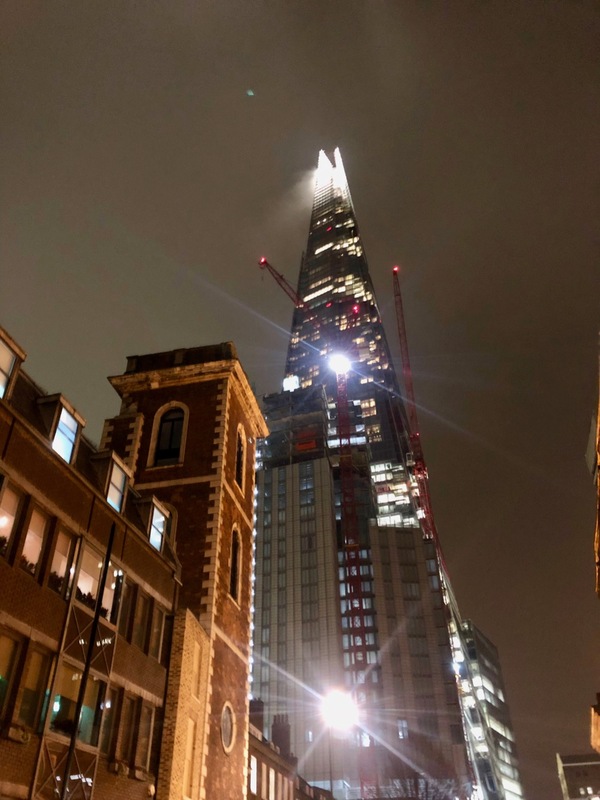 The Shard is London’s tallest building and with tall buildings come incredible views so anyone staying at the hotel is in for something really quite unique in London. The hotel has 202 rooms and suites and three signature dining experiences as well as an infinity pool and 24 hour gym. You can read more about the hotel in our guide to the best luxury hotels in London. Upon arrival at the ground floor entrance lobby on St Thomas Street, you are greeted by four soaring feature artworks next to the welcome concierge desk. A strip of interlock-box-shaped crystal chandelier illuminates the whole area. Along with the lighting and layering effects, the shimmering gold-shaded artworks, featuring Chinese ink painting, exhibit the traditional Chinese poise in an innovative and artistic manner. Enter the lifts on the ground floor and in 26 seconds you are whisked up to the sky lobby. Echoing with a poetic ambiance the sky lobby combines the design elements of both East and West in a seamless fusion. 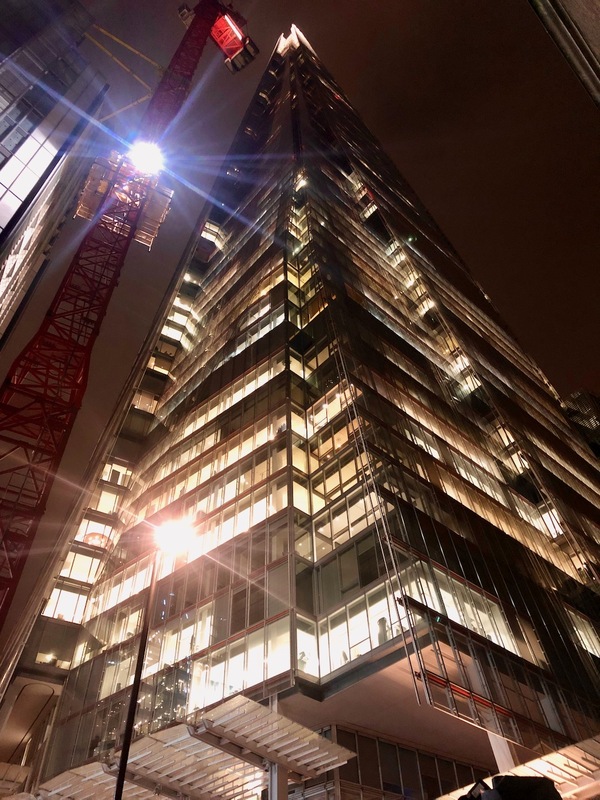 Stepping out of the lift you are welcomed by grey marble floors reflecting unrivalled views of iconic London landmarks from floor-to-ceiling windows. 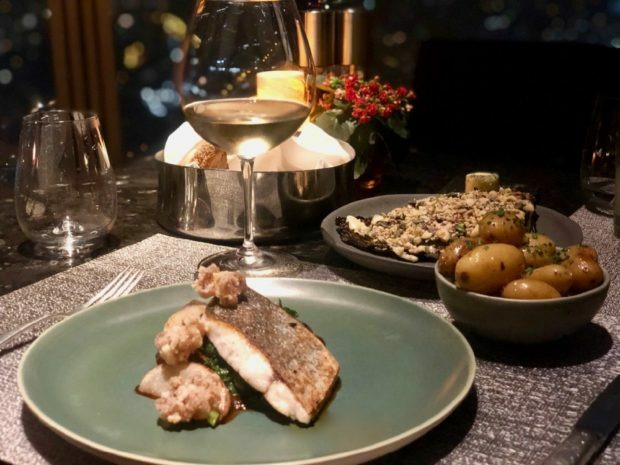 The hotel has three signature dining experiences, TĪNG on the 35 floor serves modern British cuisine with a subtle Asian twist. 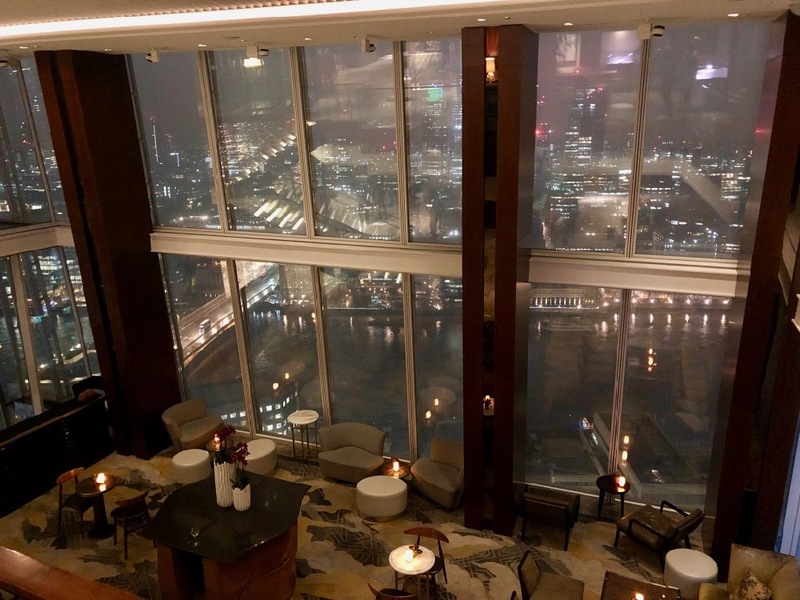 The name TĪNG derives from the Chinese word for ‘living room’, reflecting the casual elegance of this restaurant and lounge on Level 35, just off the Sky Lobby. The dining experience is enhanced by 360-degree views, encompassing the River Thames, Tower Bridge, Maritime Greenwich, Canary Wharf and the historic counties of Kent, Surrey and Sussex. 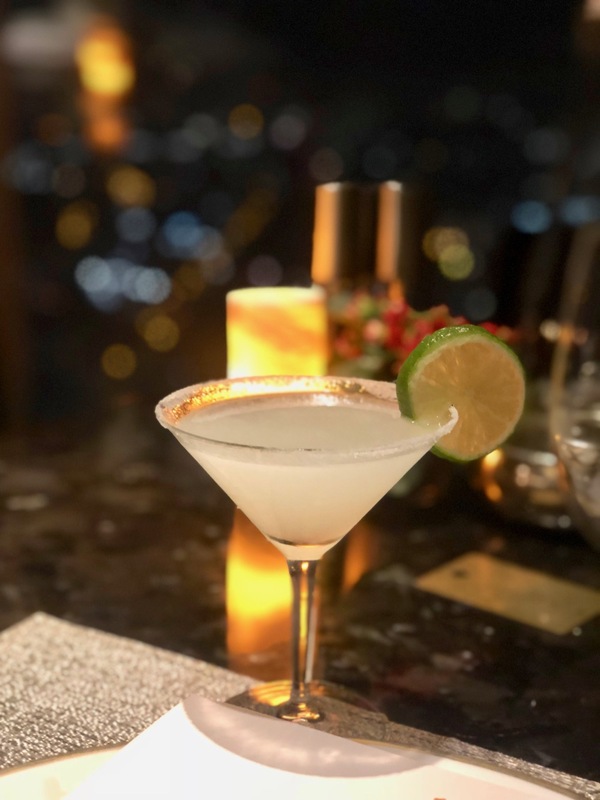 Elevated on Level 52 and the highest bar in London, this is the perfect place for sunset cocktails and late-night drinks, featuring the dramatic backdrop of the capitals skyline, with views to the west, north and east. The bar offers three distinct areas: the cocktail bar, the Champagne bar and the Sky Pool (open Thursday to Saturday evenings from 9pm – 1am with a live DJ). The name GŎNG derives from ‘dougong’, a traditional Chinese architectural element of interlocking wooden brackets, featured in the bar’s distinctive design. Situated at the base of The Shard, BAR 31 provides a truly local experience. 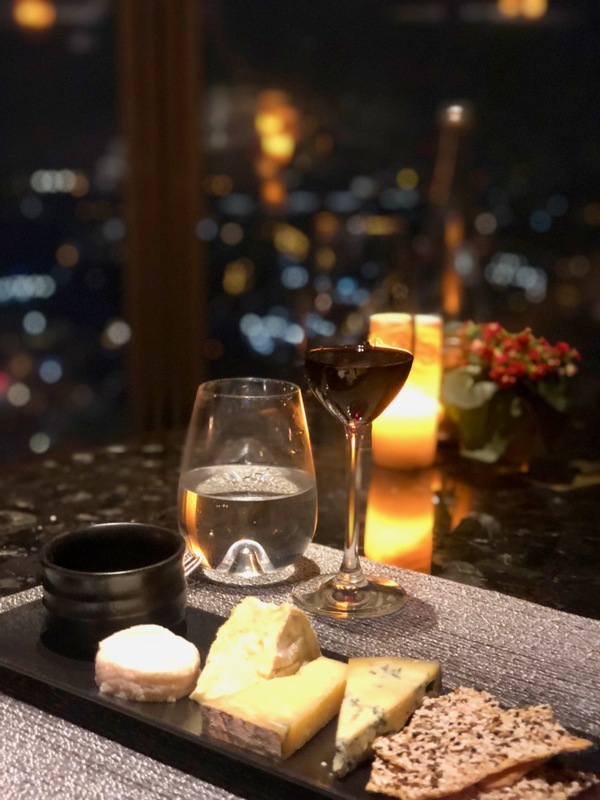 With floor-to-ceiling windows, the bar deliver an eclectic selection of local craft beers, wines and Champagnes, alongside a seasonal menu created from fresh local ingredients. Artwork showcases the surrounding community, while talented musicians from the neighbourhood fill the bar with soulful sounds. 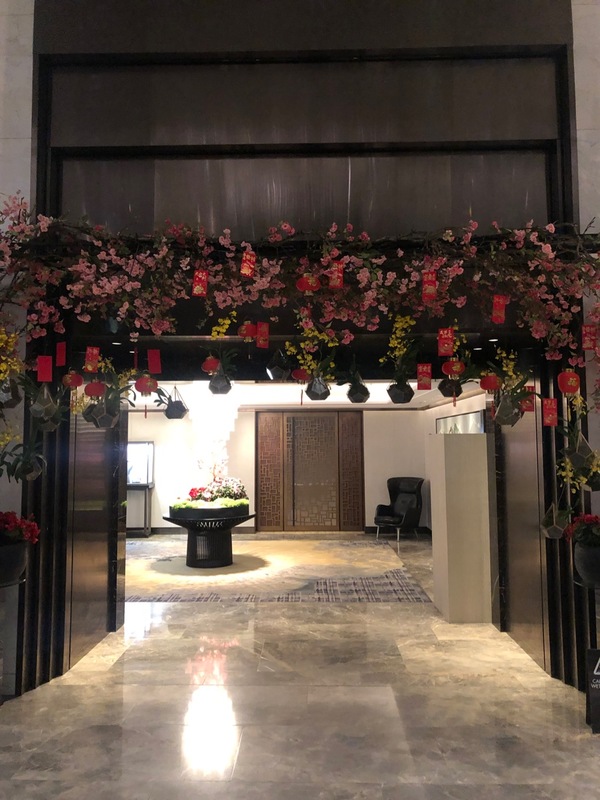 We stepped out of the elevator into the sky lobby and made our way round the to the reception desk of TĪNG. The restaurant was buzzing and alive with chatter and our jackets were taken as we were escorted to our table. 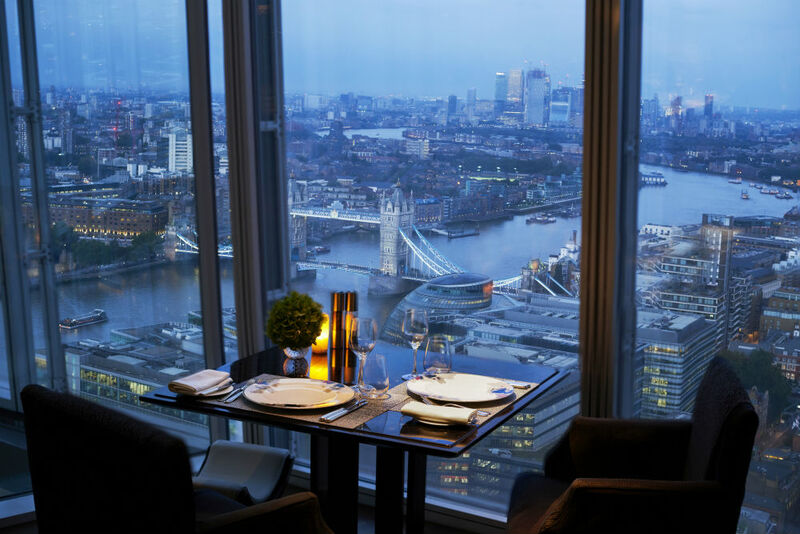 All tables are designed to face towards the view, but we were given one of the best tables in the house right next to the glass with breathtaking views looking out towards Tower Bridge. If you are looking for a wow factor you will most certainly find it at TĪNG. 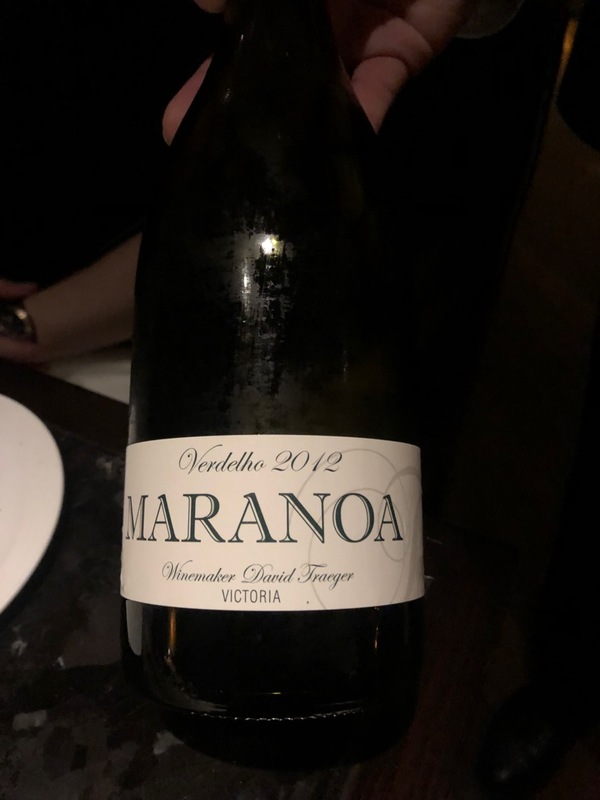 There are various evening menus on offer at the restaurant, a three course menu, five course tasting menu as well as A La Carte, with both the three course and five course menu offering wine pairings with each course. 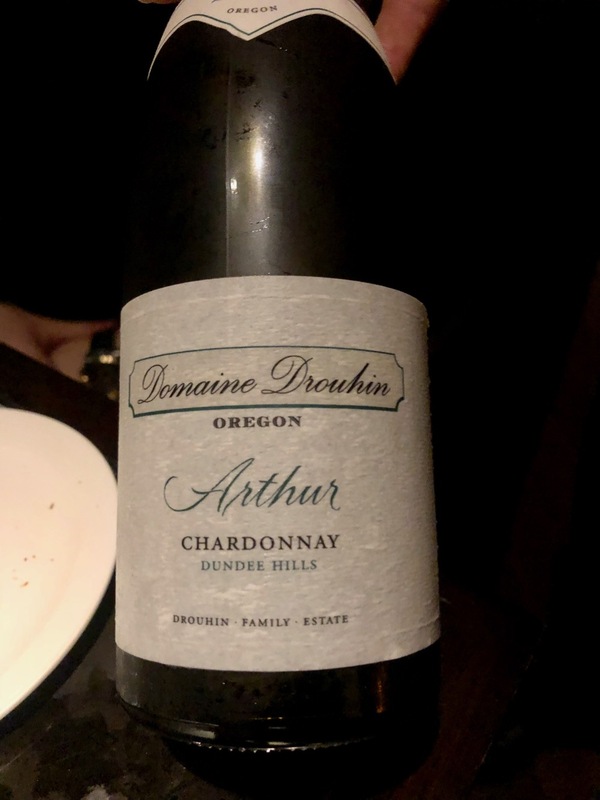 We oped for the three course tasting menu and who can’t say no to paired wines. Before we started our meal we had a cocktail, there is a selection of signature cocktails, which looked gorgeous, but I can’t resist a margarita, and this one was made just right! To start with I opted for the Scottish Salmon, with yogurt and pear. 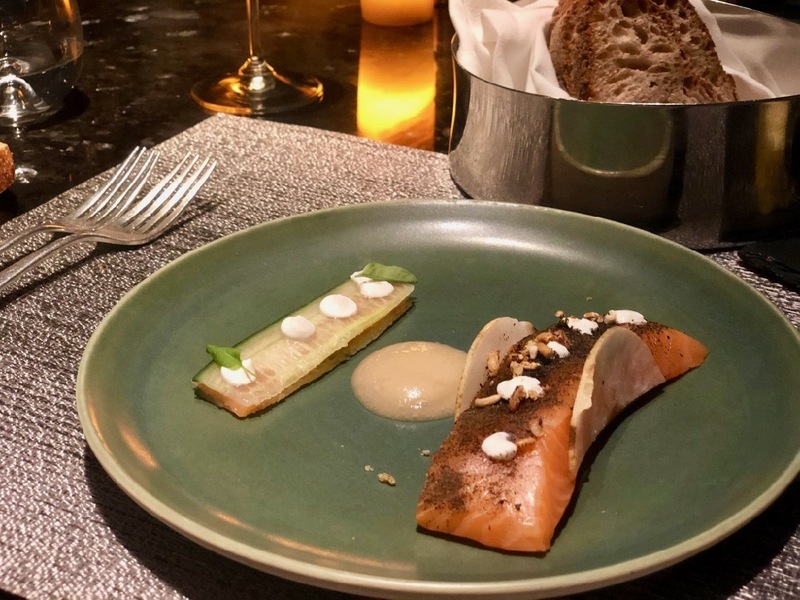 The salmon was incredible, TLE is from Scotland so salmon is something that’s on a lot of menus and it’s normally presented thinly sliced so to have it cut in a chunk in a sashimi style is something quite delicious. It is dressed with a deconstructed salad and drops of yogurt. My dining partner opted for the Cauliflower Velouté. I have to confess the lighting didn’t work out on the dish so I don’t have a picture of it, but it was really incredible too. 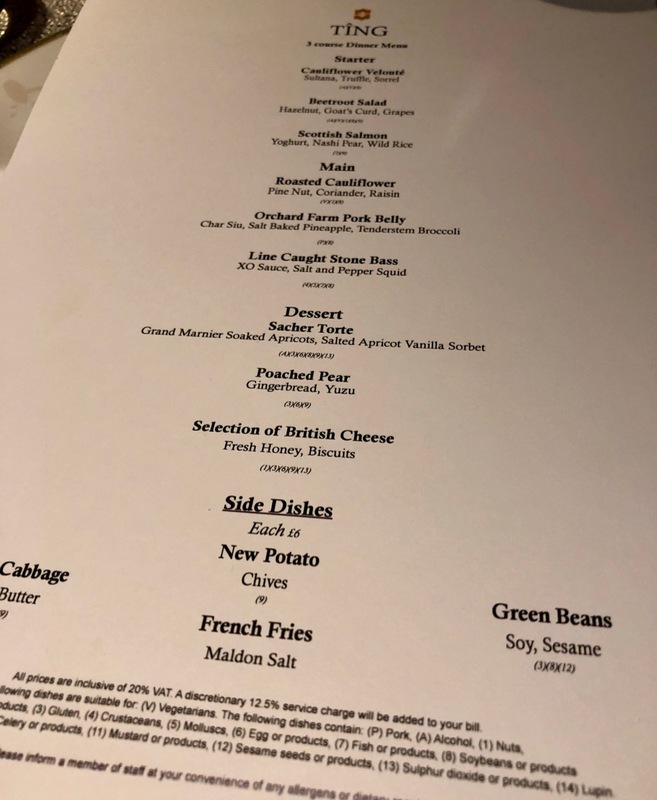 The dish is presented with the hazelnut slices, and goats curd in the dish and the velouté is poured into your dish in a theatrical style and it’s super rich. For mains we both had the same dish which was the Line Caught Stone Bass, it comes with XO Sauce and small deep-fried pepper squid. The fish was cooked perfectly and just flaked off as you put your fork into it and the XO sauce added a nice kick to the dish which reminded me of Hong Kong. Now when the waiter recommended we also try a portion of the Hispi Cabbage I didn’t think too much about it, but boy I was so wrong, this is possibly one of the best sides I have ever eaten, the Hispi Cabbage is chargrilled and dressed generously with Miso butter and nuts and it is literally the best thing I have ever tasted, if you dine in the restaurant get this as a side! We had a breather and took in the vista, we were positioned looking down onto Tower Bridge and it really is an incredible view. 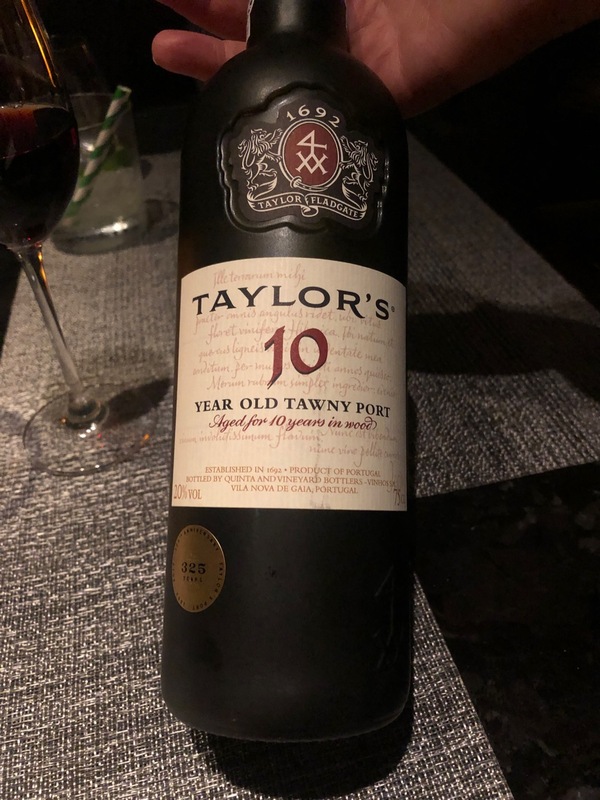 When the waiter came back we oped for the Sacher Torte, which is a torte soaked in Grand Marnier apricots and accompanied with a vanilla sorbet, and we also opted for a cheese board of British cheeses which worked perfectly with my glass of port. What a great way to round off the dinner. 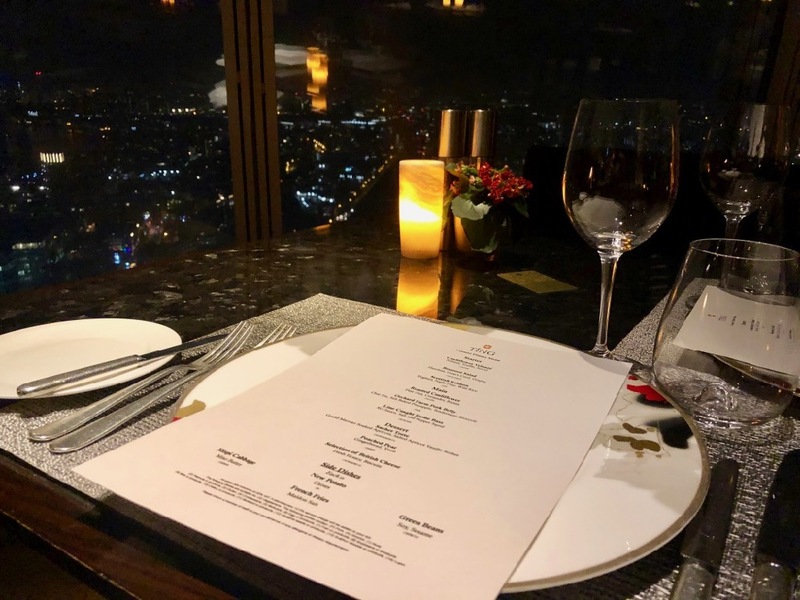 Dining in the sky turns out to be rather fabulous and TĪNG certainly has the right combination of excellent food, a lot of glamour and breathtaking views. The restaurant is open for breakfast, lunch and dinner so make sure you add it to your dining options if you are visiting the capital.